Today, I read a blog post in which the author argues that production rights for plays and musicals should be licensed for free to schools that otherwise can't afford to pay. This author, whom I respect greatly, correctly points out the value that arts education represents for schools, and makes the important point that the focus on STEM (Science, Technology, Engineering, Math), rather than STEAM (Science, Technology, Engineering, ARTS & Math) will do our students (and society) a disservice in the long run. With funding for the arts being cut at school after school, he proposes to give poorly funded school drama programs a break, calling on authors and licensing agents to waive fees for these programs. It's certainly hard to argue against the need to preserve arts education in our public schools. It's hard to defend charging fees for the use of plays and musicals in the educational setting. And yet I must. Here goes. Arts education is certainly important. But so, in my view, is a pragmatic education in the economic realities of art and culture in our society. To those educators and administrators who claim they can't afford to pay for the rights, I say this: If you're selling tickets, you've got a revenue stream. Shouldn't the authors of the show share in that? We buy or rent the sets, costumes, lights. We pay for electricity, etc. and the teachers/directors/choreographers get paid. Why should those who wrote the material waive their fees? When you set out to construct a school building, you pay the architects and engineers for their work designing it. You pay the owners of the land on which the school is built, and you pay all of the vendors who supply the raw materials from which the building is constructed. If there's no viable way to fund all that construction, you don't build it. 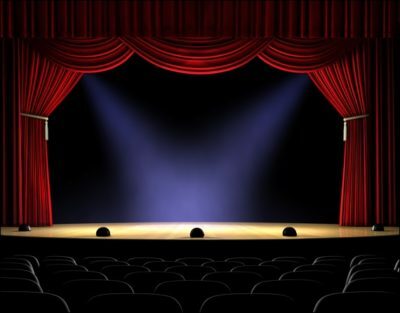 In Theatre, the plays are the raw materials used to construct the learning experience. In academic classrooms, the books, lab equipment, supplies, and other learning materials come at a cost. Why should theatre be different? Instead of looking for ways to avoid paying for the art we consume, we ought to encourage the search for ways to fund it. We go to great lengths to see that students are given opportunities to create, perform, and display the fruits of their talents, but we pay little attention to the real-world economics of art. We need, I think, to involve students in the show-selection process, and to help them understand the costs, and that the materials they perform represent the creative efforts of bookwriters, composers, lyricists and others. These things, like most things of value and importance are not free. They are not something to which everyone is entitled. (Don't get me started on the entitlement mentality of many as regards music, film, etc.). This understanding will help them see the need for funding from multiple sources, and make them better citizens. the simple fact is, fundraising is a huge part of the theatre-making process, and the more we involve kids in that process, the better they'll understand and be able to participate in the arts throughout their lives. Isn't that what education is really about? Royalties for plays are typically a fairly small part of the overall expense of putting on a show. (Though the author of the blog in question points to anecdotal evidence of rather high license fees for the most popular shows). In most cases licensors are mindful of budget, school size, etc. And in many cases, royalties are tied to ticket sales, so the cost stays relative. Arts education is important. But it is equally important that those so educated have a chance at making a living by creating art. Without that, the arts will whither and die. Bottom line: authors need to feed, clothe and shelter their families. They should be paid for their work. If they're not, they will be less inclined to create. What do you think? Should schools be given a free pass on paying for stage rights?